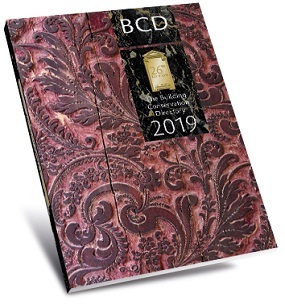 The 2019 edition of The Building Conservation Directory brings together the latest expert advice and up-to-date information on craft skills, conservation products and specialist services, as well as course listings, useful contacts and other essential information. Find out what's in it and order a hard copy here. The Directory is also available as a free digital 'flipping book' here. 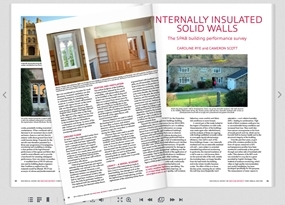 Read the first edition of Cathedral's new annual publication Heritage Retrofit. It's packed with illustrated features and other specialist coverage of this rapidly expanding area of building conservation. You can access the free digital edition by clicking here. The 25th edition of Historic Churches is led by an article on sustainability and the future of our ecclesiastical built heritage by the director of the Church of England’s cathedral and church buildings division. Other contributions examine the technical challenges posed by ageing fabric and the conservation techniques used on some of the most magnificent art and architecture. Order your copy here or read online here. 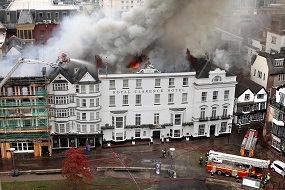 Water-based fire suppression systems are known to protect both lives and property very effectively, but due to the risk of accidental water-damage to delicate materials and finishes, they are rarely used in historic buildings. Steve Emery, Oxford University’s fire officer highlights recent developments, particularly in Scandinavia where systems are often kept dry. In the light of our most recent tragedy, this article has been exported early from the current issue of The Building Conservation Directory. It is essential reading. The Cathedral team is pleased to offer an updated list of recommended publications. 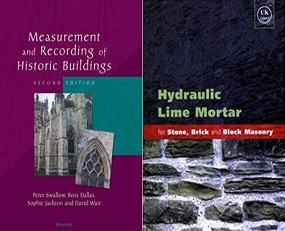 Over 120 titles cover all manner of building conservation interests and needs, from informative reads on our heritage and its history, to practical guidance on conservation, restoration and sustainability. Each book is catalogued under the bookshop tab above, along with a handy summary of its contents.To purchase a publication (or to download those offered free of charge), follow the link that appears below each book. Click here to visit the new Bookshop.